The Senate on Friday approved legislation to put thousands of Federal Aviation Administration workers and related government contractors back on the job -- but the fight over the agency's funding isn't quite over yet. The government will now be able to take in millions of dollars in ticket fees it had been unable to collect during the roughly two-week shutdown of the agency. The Senate unanimously approved an identical bill from the House of Representatives that would extend the FAA's operating authority. Just two senators were present for the vote, which was agreed to by leaders of both parties. The bill now heads to the White House for President Obama's signature into law. His signature could put workers back on the job by Monday. The FAA partially shut down on July 23, leaving the government unable to collect about $30 million a day in uncollected airline ticket taxes, short-changing Uncle Sam about $400 million. Today's development will put tens of thousands of public and private sector employees back to work, but Congress will have to deal with its disagreements over FAA policy next month, when this funding bill runs out. At issue is a provision relating to labor unions that the GOP-led House included in its long-term FAA funding bill. The provision would repeal a rule of the National Mediation Board -- the independent panel that oversees labor practices in the airline and railroad industries. Under the old rules, workers who did not vote in an election over union representation were counted as "no" votes. The National Mediation Board changed that after President Obama appointed two new members to the three-member panel. 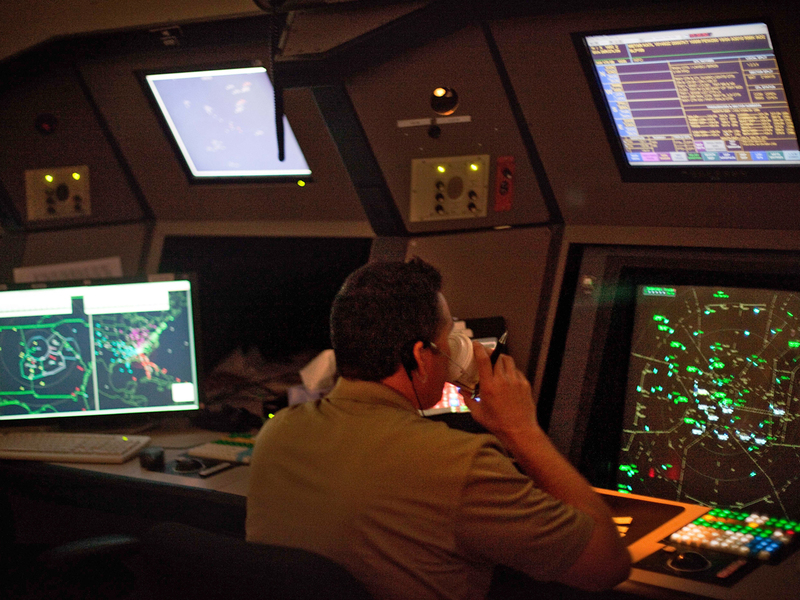 The GOP provision in the FAA bill would change that rule back. Democrats are opposed to the rule change. They hesitated in supporting the newly-passed short-term FAA bill because it includes some subsidy cuts -- and they feared that if they relented on the issue of subsidies, it would give the GOP more leverage in the fight over the union provision. In a conference call with reporters Friday morning, Richard Trumka, president of the labor organization AFL-CIO, said Congress should have passed this short-term extension earlier. Congress "claimed to be concerned about the deficit, and yet they're willing to put people out of work," he said. "This group of people seems to be playing Russian roulette with the economy and using six bullets instead of one." But Trumka called the labor provision in the House's long-term bill "unfair, overreaching and outrageous." He said he'd accept the provision if Republicans were willing to run Congress by the same rules -- if constituents don't vote in an election, they're counted as a vote against the incumbent. Rep. John Mica, R-Fla., the congressman responsible for the labor provision, said Friday that it's now vital for Congress to pass a long-term funding bill, the Hill reports. "If the Senate refuses to negotiate on the few remaining issues, they can be assured that every tool at our disposal will be utilized to ensure a long-term bill is signed into law," he said. Mica, chair of the House Transportation and Infrastructure Committee, also said he'd introduce legislation to pay FAA workers for their furlough days, according to the Washington Post. "We just want to cheer all those workers who have been left out on a limb by this," he said. House Speaker John Boehner also released a statement calling on Congress to pass a long-term FAA bill. "Moving forward, it's time for Senate Democrats to get serious about resolving the remaining FAA issues, complete work on a long-term bill that can be signed into law, and help this troubled economy," he said.